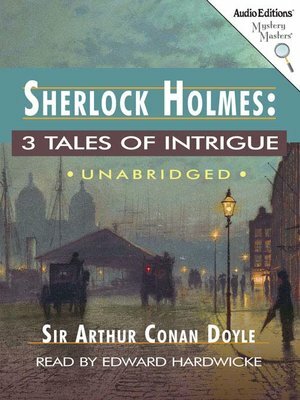 Here are three masterfully crafted cases involving intrigue, from the greatest mystery writer of all time, Sir Arthur Conan Doyle, and starring that most celebrated sleuth, Sherlock Holmes. In "The Crooked Man," a long-lost love returns, horribly changed, revealing awful treachery that has been kept secret for decades. In "The Greek Interpreter," Sherlock Holmes' brother, Mycroft, leads Holmes and Watson to a hideous murder and the betrayal of a foreign heiress. In "The Naval Treaty," an innocent man's honor, position, and health are at stake when a treaty of utmost importance is stolen from his office.